The GDP growth is slower than the first quarter growth of 8.2 per cent, though is better than the 6.3 per cent growth registered during the same quarter the previous year. Two key economic indices released by the Central Statistics Office and the Ministry of Commerce, respectively, has shown that the Indian economy continues to grow, though at a slower pace, in the midst of global uncertainties surrounding the oil, currency depreciation and trade protection, and the liquidity crunch and demand woes in the country. While the Gross Domestic Product (GDP), the measure of economy, registered a growth of 7.1 per cent in the July-September quarter, the index of eight core industries that comprise 40.27 per cent of the weight of items included in the Index of Industrial Production (IIP) grew 4.8 per cent during the month of October 2018. The GDP growth is slower than the first quarter growth of 8.2 per cent, though is better than the 6.3 per cent growth registered during the same quarter the previous year. GDP at Constant (2011-12) Prices in Q2 of 2018-19 is estimated at Rs 33.98 lakh crore, as against Rs 31.72 lakh crore in Q2 of 2017-18, showing a growth rate of 7.1 per cent. The gross value added or GVA (Basic Price) for the second quarter of 2018-19 is estimated at Rs 31.40 lakh crore, as against Rs 29.38 lakh crore in Q2 of 2017-18, showing a growth rate of 6.9 per cent over the corresponding quarter of previous year. In the case of core sector index, the growth was slightly higher than 4.3 per cent growth in September 2018. "On the whole second quarter GDP numbers do not ring in any alarm or indicate any serious deviation from the expected growth numbers. No doubt the sudden spurt in crude oil prices and depreciation in rupee had somewhat destabilising impact on the economy lately but over the past month, they have corrected equally fast," Devendra Kumar Pant, Chief Economist, India Ratings and Research says. On the core sector data, Aditi Nayar, Principal Economist, ICRA Limited, said that "the mild rise in the core sector growth in October 2018 relative to the previous month was led by a healthy uptick in cement, coal and electricity, whereas fertilisers, crude oil and natural gas, disappointed with a year on year contraction". "The modest uptick in the core sector growth, in conjunction with the broad-based improvement in the YoY growth performance of a majority of other early indicators such as auto production, fuel consumption and exports in October 2018, portends a pickup in IIP growth to 6.5-7.5 per cent in that month," Nayar adds. What contributed most towards the growth in the GDP were sectors like manufacturing, electricity, gas, water supply and other utility services, construction, public administration and defence, which grew over 7 per cent during the period. Sectors like agriculture, forestry and fishing, mining and quarrying, trade, hotels, transport, communication, financial, real estate and professional Services, etc, showed lower growth. 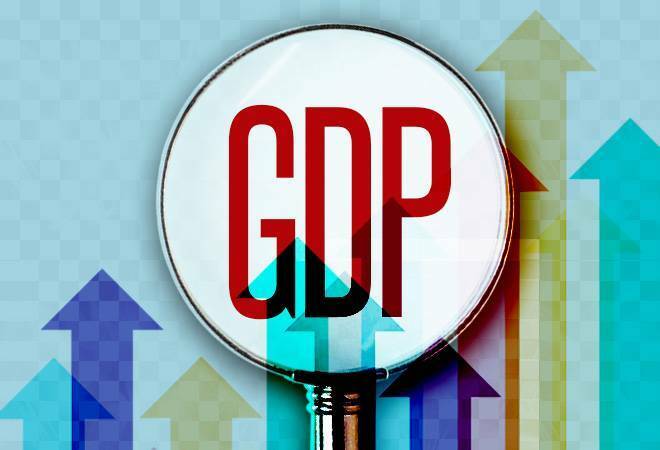 "With the GDP expansion in Q2 FY2019 largely in line with our forecast, and given the risks posed by the Y-o-Y rise in commodity prices and the depreciation of the rupee, as well as the availability and cost of financing for some sectors, we continue to expect a shallow recovery in GDP growth to 7.2 per cent in FY2019 from 6.7 per cent in FY2018", ICRA's Nayar said.